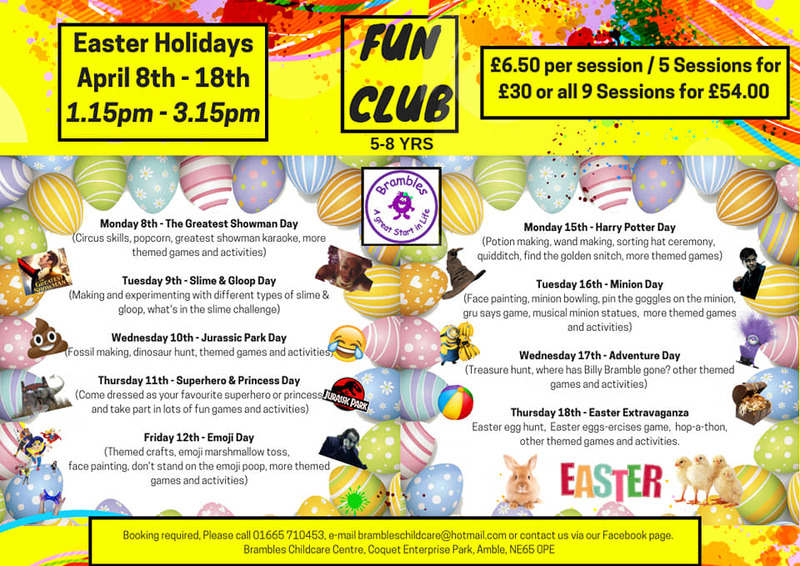 The Easter holidays are going to be soooo much fun, we can’t wait to see everyone enjoying the planned activities. 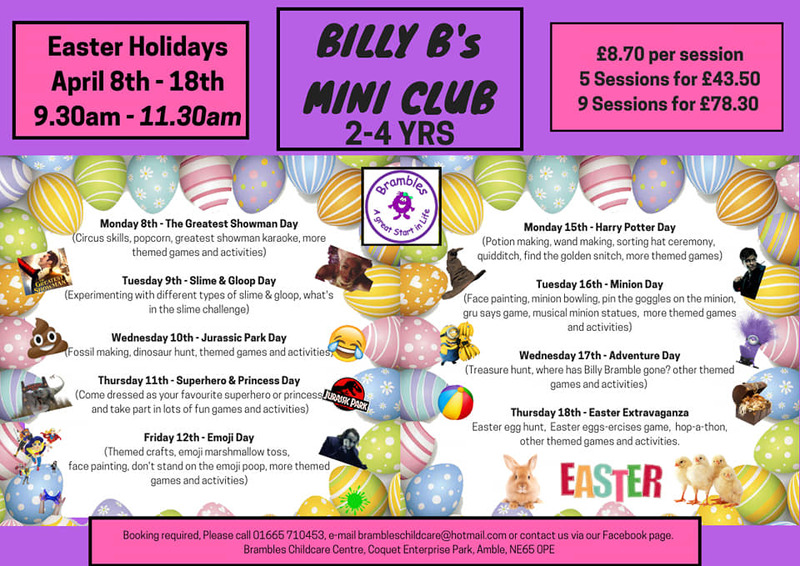 You have until the 25th of March to book Billy B’s Mini Club sessions (2-4yrs) or Fun Club sessions (5-8yrs) but please remember that these sessions are very popular and spaces will be given on a first come first served basis. Your child doesn’t have to be a regular at Brambles or have been before to join in the fun but they must be booked in please and sessions paid for in advance. As always we do offer full childcare throughout the holidays also: Monday – Thursday 8am-6pm / 8am-1pm / 1pm-6pm and Friday 7.30am-4pm / 8am-1pm / 1pm-4pm. Please call us on 01665 710453, e-mail brambleschildcare@hotmail.com or contact us via our Facebook page to book.